IDENTIFIES, DETECTS AND SEPARATES DIAMOND OR MOISSANITE FROM CZ The engineers at GemOro Superior Instruments have developed an enhanced version of their second generation PRO-D II simultaneous diamond and white sapphire tester. 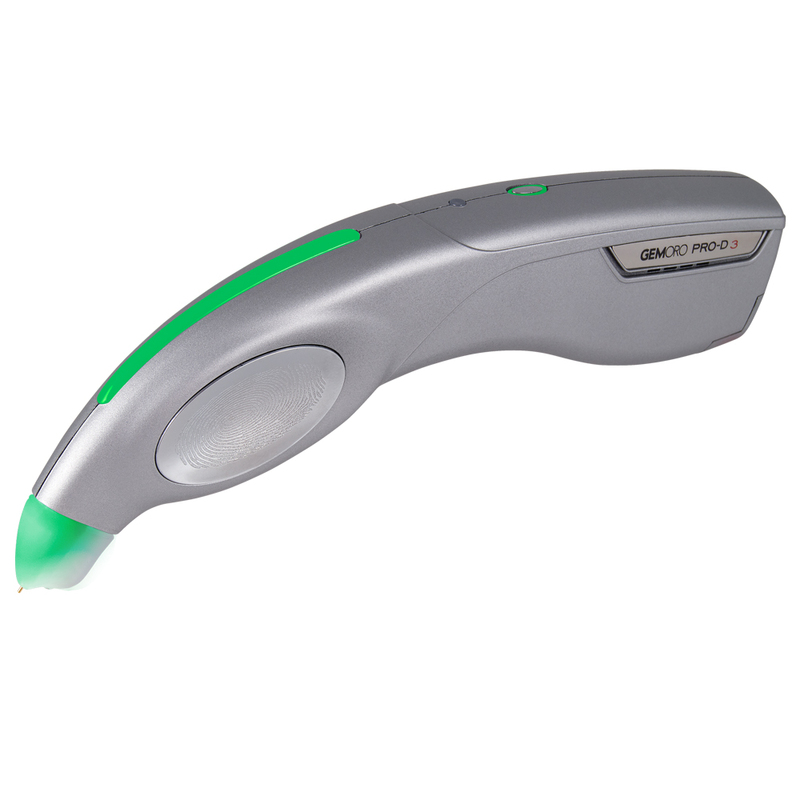 The newest 3rd generation PRO-D 3 tester design is even sleeker and more ergonomic and has even better testing sensitivity than before. Known for their accuracy and reliability, GemOro sets the standard for protection against diamond simulant fraud! PATENTED.